The Salvation Army and McDonald’s foods have some things in common. They are both multinational corporations. The Salvation Army is active in 126 countries around the world. They have something else in common – a joint cross-promotional strategy. 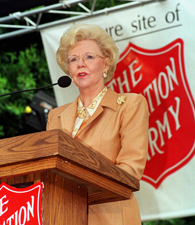 The will of the founder of McDonald’s wife made the Salvation Army a major shareholder, with $1.8 billion in shares at the time her will was executed. Where they differ is that McDonald’s must play by the rules of government such as taxes, minimum wages and financial reporting, while the Salvation Army is mostly exempted from such inconveniences in making money. While the Salvation Army engages in cross-promotional activities with many multinational corporations (these will be covered in future postings), it is the McDonald’s connection which worries some people the most, for a variety of reasons. McDonald’s has benefited from its association with the Salvation Army to boost its corporate image. Almost every McDonald’s around the world plugs this association. 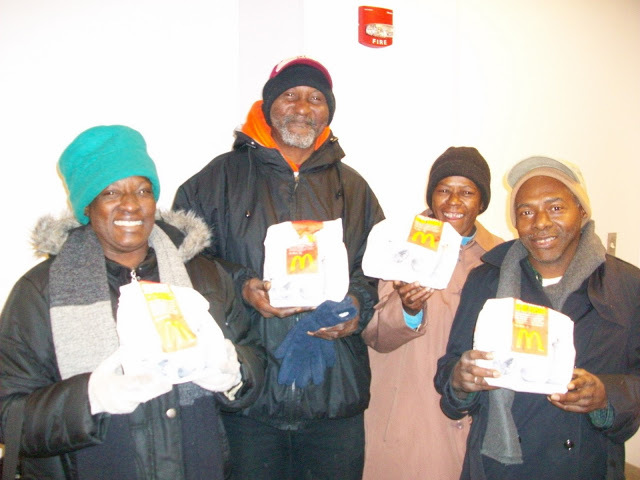 For example, the photo below, promoted by both McDonald’s and the Salvation Army, purports to show happy homeless people with their Christmas food parcel, courtesy of McDonald’s and delivered by the Salvation Army. 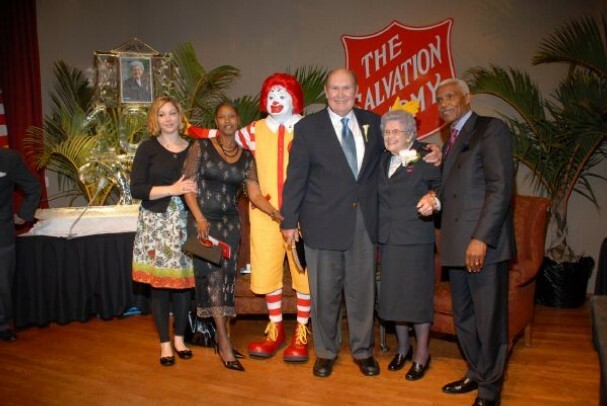 Every day, somewhere, there is a PR planted article linking McDonald’s generosity with the Salvation Army. 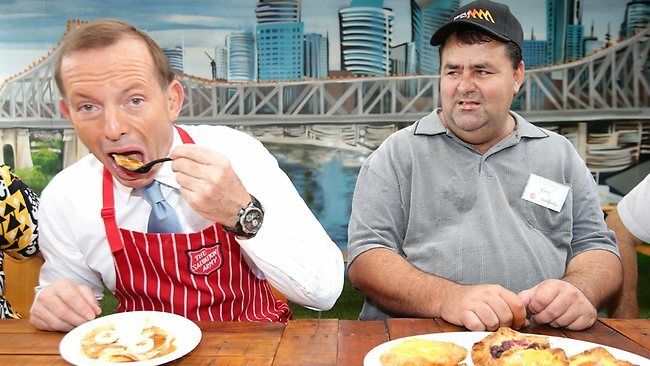 For example, the Western Australian state Salvation Army Youth Camp project was “rescued” by McDonald’s. Then there are the staged “documentaries” such as the PR release that “In partnership with McDonald’s, Channel 9 produced a documentary to raise awareness of the fantastic work The Salvation Army carries out for youth across WA.” Guess who paid for the documentary. The Salvation Army is big business, yet its payouts to its victims have been as pitiful as the wages McDonald’s pays its 90,000 Australian employees. This entry was posted in Uncategorized and tagged Australian Royal Commission, Australian Royal Commission into Institutional Responses to Child Sexual Abuse, corporate sponsorship, Crown - Perth, homeless, Joan Kroc, Lewin Blazevich, Lewis Blayse, McDonald's, Minerals Resources, minimum wage, Real Estate Institute, Salvation Army, Salvation Army Riverview Training Farm, Salvos, Tony Abbott, Westpac Bank. Bookmark the permalink.